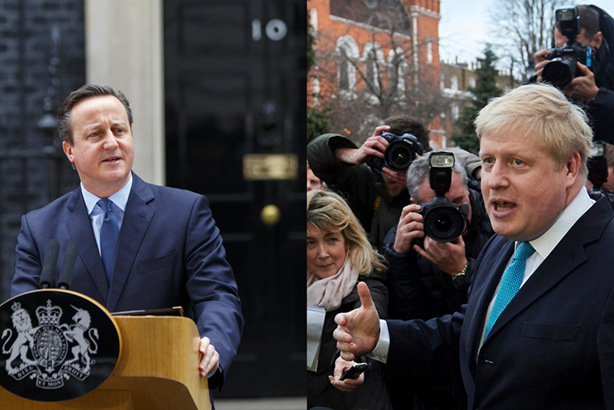 PR and public affairs professionals are divided on whether Prime Minister David Cameron or Mayor of London Boris Johnson stole the show as the EU Referendum campaign started in earnest this weekend. On Saturday, Cameron announced that the referendum on the UK's membership of the union would take place on 23 June. The following day, Johnson came out as supporting Brexit – this had previously been speculated, with some commentators suggesting this would give him a platform to launch a bid to succeed Cameron as PM. His face is on seven of the UK's biggest newspapers this morning. PRWeek asked several PR and public affairs professionals for their view of the weekend's events. Gill Morris, executive chair of Connect Communications, said Johnson's announcement was "very well orchestrated, typical Boris". She said Cameron now appeared "vulnerable" having failed to secure meaningful concessions for Britain in negotiations with other EU leaders earlier this week. Alex Deane, head of public affairs UK at FTI Consulting, agreed, saying: "For my money, Boris stole the show this weekend. The attention that his announcement attracted demonstrated both the star power he has and the cleverness of the timing." He acknowledged that Cameron "spoke well, as always" but concluded: "There's no doubt that the weekend belonged to Boris." Jonathan McLeod, Weber Shandwick UK's chair of corporate, financial and public affairs, said the negotiations had reflected badly on the Brexit camp and Conservative Party. "It’s all looked messy – both in the leave camp and in the Tory Party," he said. McLeod said Cameron's announcement on Saturday would not have convinced many people: "So far, David Cameron has focused on creating sufficient theatre around the process, to give the impression that he went in ‘to bat for Britain’, and that the outcome is some sort of special status for the UK going forward. Where is the public on all of this? Most are still scratching their heads." However Chris Rumfitt, founder of Field Consulting and former Edelman UK public affairs chief, disagreed. He said Cameron was "the strongest political communicator of his generation", adding: "His formidable skills and message discipline were deployed brilliantly over the weekend." "Usually you would say the entrance of Boris into the out camp could change everything but his message so far appears to be a nuanced one. And nuance suits neither his communications style, nor the needs of the modern media." Ed McRandal, an account director at Insight Consulting Group, said Johnson had made it very clear his position was linked to personal ambitions. "Contrast Boris’ public deliberations with those of Theresa May – once considered a candidate to lead the out campaign – who dampened down speculation and quietly announced she would vote to stay. Teasing your decision-making process through TV and print always suggests a calculation that your final announcement is one you consider to be personally advantageous," he said. Ella Fallows, head of political intelligence at Lexington Communications, said: "I think Cameron has presented himself quite well. On Marr [The Andrew Marr Show] he made his argument well." However, Fallows also said she worried the imminent referendum would create a business slow-down: "There will be very little actual government happening from now until the vote, which is going to make things quite frustrating and will have an impact on our clients." Only one question worth asking this morning - what do you think the #EUreferendum result will be?